It’s a new era for Lark baseball at Hesston College. Timothy Cole took over the program at the end of last school year. Tim came from NCAA DII Southern Nazarene University where he had served for several years as their assistant coach. This mentality is all about “WeBeforeMe.” A challenge for the team to put others and the uniform ahead of personal accolades. This will be accomplished by playing for each other, which should be one of the team’s greatest strengths. 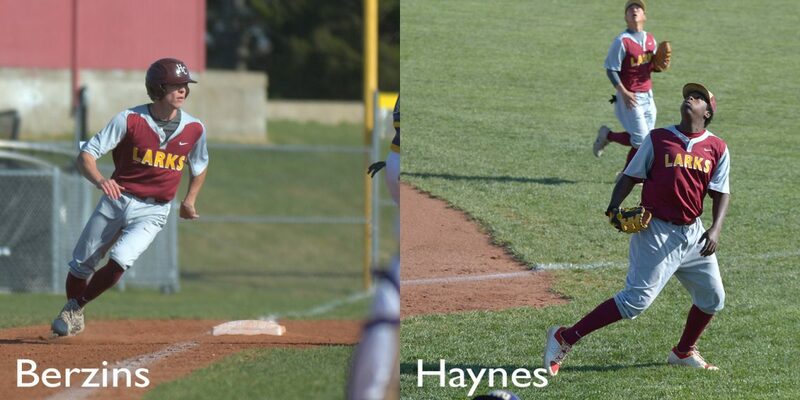 Embracing this “WeBeforeMe” mentality is returning pitcher and first baseman, Kalen Haynes. Kalen is a leader who brings everything every day. Also leading on and off the field is David Berzins. Berzins flies around the outfield and brings the team energy when they need it most. New faces to keep an eye on are Caleb Stull and Hugo Kinebuchi. Stull has special talent and will lead the team from the catcher position. His work ethic, character and passion make him a good on-field leader. Kinebuchi serves his fellow pitchers and will lead the team from the mound. “The team has been working hard since day one,” says Cole. Early morning workouts, great sophomore leadership and dedication have allowed the Larks to continue getting better despite the cold January weather. First pitch for Hesston College will take place Friday in Dallas, Texas. The Larks will travel for two days of double headers against Richland Community College. They will follow that with two days of double headers the following two weekends. February 9 and 10 will see the Larks host Northeast Nebraska Community College and Highland Illinois Community College will travel to Hesston for games February 16 and 17.